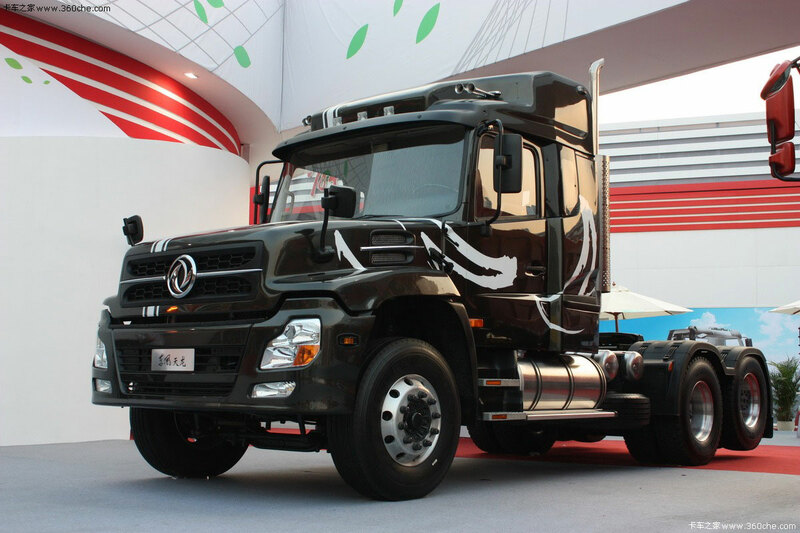 The most interesting truck of the Auto Shanghai 2011 is this bonneted concept DongFeng DFL4260A. At first glance, it is shocking, but it is made out of serial production components. 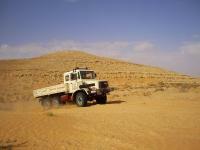 According to the company, she was already received 47 patents for the construction of this truck. For example, the access to the engine is made very unusual. Not only the hood opens, but the cab also tilts in the opposite direction of movement. By the way, to reduce weight the hood is made of fiberglass. Another interesting feature is the fifth-wheel of the tractor. It can be moved along the frame, depending on the total mass of the trailer. This should improve weight distribution of the road train and to reduce fuel consumption. Concept tractor is equipped with DCI420.40 engine with an output of 420 hp, which meets Euro 4 ecological standard. The braking system is equipped with ABS and ASR. The rear axle of the truck is drivable and liftable, with switchable drive. So the tractor easily can be in 4x2, 6x2 or 6x4 axle configurations.